QHHA is fortunate to have three lakes, which attract a variety of wildlife and birds, including herons, hawks, osprey, and of course, ducks and geese. The largest lake is located behind the clubhouse at 7301 Quail Meadow Lane, and is home to bass, catfish, brim, spot, carp, and other fish. 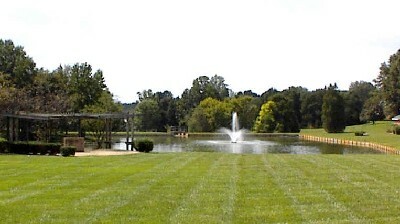 Residents and their guests are welcome to go fishing in the lake and enjoy the peaceful setting. Our annual QHHA fishing tournament takes place every September, and features prizes for the first fish caught, the largest fish, and the most fish caught during the tournament. It�s a great way to spend time with your children and grandchildren.